Save by pairing your airfares and accommodations. Expedia has loads of excellent Edna vacation packages that'll save you time and give you more cash to splash! Savvy travelers can save up to C$590* by getting a combined package deal on Expedia. There's no need to click around a bunch of websites for your travel needs. With more than 400 partner airlines and 321,000 properties worldwide, our international database has all that you need. Need more time to decide? There are no hidden fees from us for changing almost any reservation. We've got all the hot sightseeing tips for your impending trip to Edna. Grab your travel organizer and prepare to start filling up that itinerary. Whether you like your wine blend to be light-bodied or full-bodied, there's bound to be one that agrees with your palate at Edna Valley Vineyard. Still have time on your hands? Whether you prefer your wine blend to be fruity or dry, you're sure to find one to satisfy your palate at Wolff Vineyards. While it can be difficult to discover accommodations in the middle of Edna, there are 57 places to stay in the nearby areas. Organizing cheap vacations and luxury getaways is a breeze with Expedia. At the Dolphin Bay Resort And Spa (2727 Shell Beach Rd) and The Casitas of Arroyo Grande (2655 Lopez Drive), you'll get to enjoy a soft bed and a steaming hot shower — just what you'll want after a big day! Let's be honest, nobody likes waiting around at the airport. However, when you start to imagine the fantastic trip to Edna ahead of you, you should be able to manage. After all, you'll be just 2 miles (3 km) northwest of the neighborhood center when the wheels hit the tarmac at San Luis Obispo County Regional Airport (SBP). Madonna Inn is set on a 1,000-acre estate on Highway 101, an easy drive from many Central Coast wineries. Guests can reach Avila Beach in 15 minutes by car, and historic San Luis Obispo is 5 miles away. The hotel offers free daytime shuttle services to the airport, train, and bus stations. 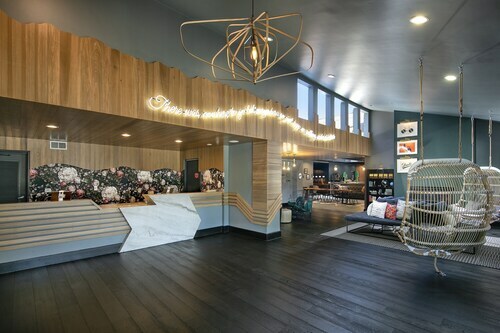 Located in the heart of San Luis Obispo, this hotel is within 1 mi (2 km) of Fremont Theater, Performing Arts Center, and San Luis Obispo Superior Court. Bubblegum Alley and Mission San Luis Obispo de Tolosa are also within 1 mi (2 km). San Luis Obispo Station is 25 minutes by foot. 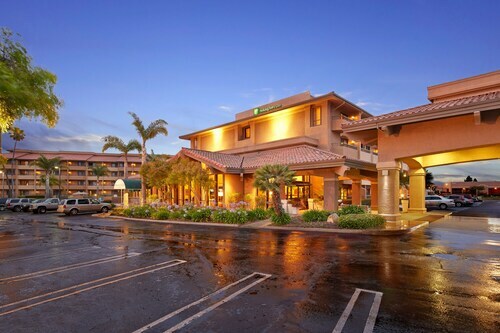 Holiday Inn Hotel and Suites Santa Maria is located off Highways 101 and 166 on North Broadway. 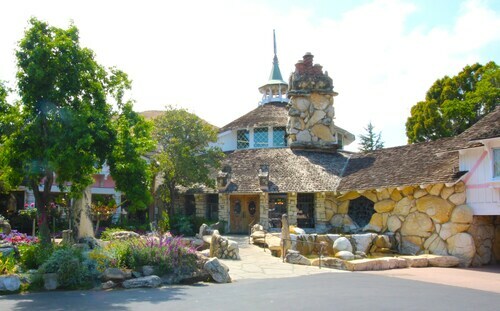 It is opposite Boomers family amusement center, and a short drive from Main Street. Santa Maria Speedway, theaters, and museums are less than 10 minutes by car, and Pismo Beach is a 20-minute drive away. Set on a bluff overlooking Pismo Beach and the Pacific Ocean, this renovated English country-style inn provides convenient access to the 1,100-foot-long (335-meter-long) popular Pismo Beach pier. This Pismo Beach hotel on the beach, less than one-quarter mile from Pismo Beach Pier, and one-half mile from Oceano Dunes. 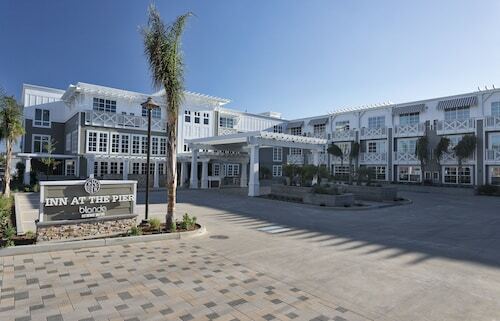 The Pismo Beach Prime Outlets are one mile away. The hotel is within a 20-minute drive of dozens of wineries in the surrounding hills. Golfers can choose between 7 top courses, and shoppers need only walk a couple of minutes to 2 neighboring malls. The nearby resort town of Avila Beach is a great place to see the sun set over the Pacific. 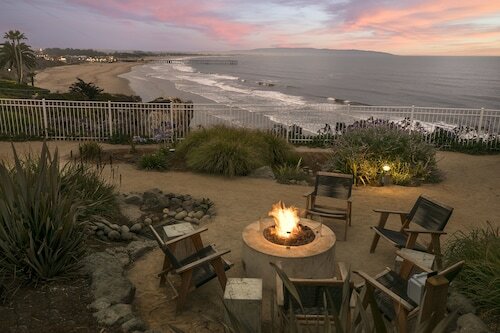 Located in the heart of Pismo Beach, this hotel is within 1 mi (2 km) of North Beach Campground and Pismo Beach Pier. Monarch Butterfly Grove and Pismo Beach Prime Outlets are also within 1 mi (2 km). Tue., 14 May - Thu., 6 Jun. Wed., 28 Aug. - Sat., 7 Sep.